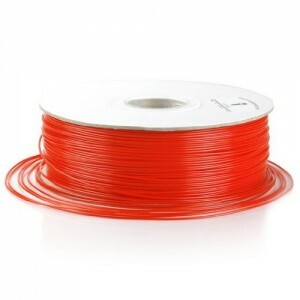 If you run out of filament midway through a 3d print, it can be hard to recover the print. If you’re not watching the print job closely, you can even damage your 3d printer. To make sure you have enough filament for the job, here’s a quick way to measure how much is left. If you always use the same filament, take an empty spool and weigh it in grams. Then weigh the new spool, or spool you have running into your 3d printer and subtract. The result is the weight of how much filament you have left. If you don’t have any empties, you can measure before starting the reel, and then assume that if you bought a standard 1kg spool, the spool weight is whatever is over the 1kg. Then, because your printer might overextrude, or your density might be off, you should always make sure you have a margin of error between what your print requires and the amount of filament you have calculated. If it’s close, make sure to monitor the print so you can replace the reel with a new one if it runs low. Halfway through a reel and you didn’t weigh your full spool? Try to find your filament on amazon. Listed below the description is an “Item Weight” and a “Shipping Weight”. The difference between the two is the weight of the empty spool plus any packaging. So you should always end up with a filament weight slightly over the actual weight, which means you won’t overestimate and have a failure towards the end of a print. Knowing how much filament you have left will give you the information you need to plan out a successful 3d print. Standard 3d printer host software tells you how much filament a model will require. You can use that to guide whether you need to watch the print actively, intervene at a certain time to switch out reels, or be confident knowing that your print will have enough filament for the full print.